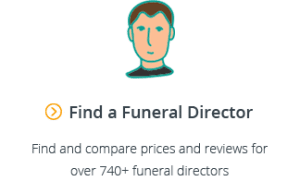 eHow do you find a good funeral director? In the same way that a funeral is a deeply personal celebration and memorialisation of a someone’s life, finding a “good” funeral director that is right for you is also a personal question. And simply because someone clicks with a certain funeral director doesn’t mean that they’ll necessarily completely understand and deliver on your wishes. So while it’s no possible to give you a definitive list of the best funeral directors in Sydney, for example (because the top funeral directors for one person will be different from the top funeral directors for another person) there are some sure fire signs to tell if you’re talking to the wrong funeral director. When a loved one passes away, it’s natural for families to go into shock – even if their health has been on the decline for some time. While many funeral directors are honest, compassionate and ethical, there are many who know that people in this state of mind are vulnerable and can be exploited. This is a classic strategy designed to put pressure on families and “close” a deal quickly. When a family has spent 2 hours meeting with a funeral director, going through all of the options and planning, most find it difficult to back out. And who could blame them? The thought of having to do all of it again with another funeral director is often just too much for most families to bear on top of everything else and with only a limited amount of time to finalise arrangements. Funerals are expensive, and how they are costed and calculated can be confusing. You might find our Guide to Funeral Costs in Australia a useful starting point. Many funeral directors will try to upsell you at every available opportunity. Sometimes it will be obvious, but more often than not, it will be subtle – and unless you’re looking out for it, it might just pass you by completely. A common example is where they simply assume that you want a mid or top of the range option without explaining the more cost effective options. For example, they might include limousines to transport the family without asking if that’s what you want, or start at a mid-range coffin rather than explaining the cheaper options. For guidance on how much a coffin costs, see our guide to coffin prices. The reason for this is simple. Once a person has been put in this position, it can be difficult and awkward to ask about the cheaper options as they don’t want to be perceived as being “cheap” or caring more about money than their loved one. All of this language is designed to make you feel guilty about even thinking about choosing a cheaper option or choosing not to include a non-essential service. A good funeral director should be polite, professional, courteous and compassionate. They should listen and help you plan the vision you have for the funeral and never make you feel like an inconvenience or dumb for asking questions. I’ve experienced first hand funeral directors who got frustrated and short with me when I couldn’t describe the exact funeral we wanted, and asked about the various options available. It’s important to remember that for most people, it will be their first experience planning a funeral – so it’s all new territory. Impatience can also be a method funeral directors use to put pressure on a customer to get them to sign. If you’ve been made to feel indebted to a funeral director and that unless you sign the contract you’re wasting their time, it’s a sign that you should get out and reassess. Embalming is a procedure that is used to preserve the body and delay decomposition, and is generally only legally required if the body is to be buried above ground in a vault or mausoleum. While some families may choose embalming if the body is to be viewed, as the process gives the body a more life-like appearance, it is definitely not a legal requirement. There is also a myth that embalming is done for hygiene reasons and to stop the spread of disease, but there is no evidence to support this. So beware of funeral directors who tell you that embalming is a requirement. It’s an expensive process and can cost upwards of $800, and it’s almost always unnecessary. 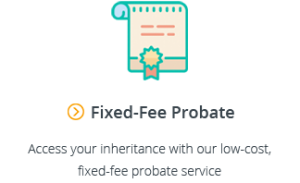 You want to make sure your funeral director is upfront with you on pricing from the beginning. 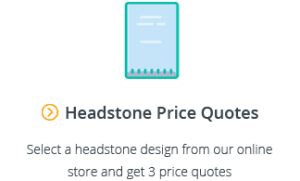 If they can provide you with a copy of their price list, that’s the best, but at the very minimum they should talk you through the various options and provide you with an itemised quote. If a funeral director manages to get your business without being clear on pricing, it opens up the real possibility that when you get the final bill there will be shock costs and services on there that you didn’t know about or discuss. We’ve heard hundreds of stories of this happening to grieving families. Make sure you know exactly what you’re getting and how much it’s going to cost. One of the most frustrating things to go through when a loved one has passed is trying to call up and find price information from funeral directors, only to never be given a straight answer. And further than that, many people in the midst of grief simply can’t bring themselves to do the call around. That’s exactly why we created our website, Gathered Here. 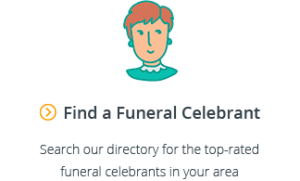 By simply entering in your postcode, you can see and compare prices of all funeral homes in your area without picking up the phone. Avoid sales pressure and only pick up the phone when you’re ready. At one of the most challenging times in anyone’s life, dealing with the passing of someone you love is hard enough. The last thing we need is to be manipulated, taken advantage of and made to feel even worse. If you know you’re not in the right frame of mind to make big decisions, a good tip is to bring a support person with you. Aside from the emotional support, they’ll probably find it easier to pick up on these signals. My wife and I have been looking at funeral directors for a while for her mom’s funeral, and I think that avoiding someone who uses manipulative language like you said is someone we’d like to avoid. I’m going to have to look into some different funeral directors and talk to them to see how they talk. Maybe we could even attend a funeral directors service before we choose one so that we’re sure that we get the right one!